Slow yoga with breathing, yoga poses and sound bath relaxation. A class focusing on reducing stress following a busy work day. We use movement, breath, and meditation/yoga nidra to find a place of calm and relaxation. This is class dedicated to self care and giving back to the staff who give some much of themselves to their students and families of the school. A well rounded yoga including asana, pranayama, philosophy, meditation and mantra meditation and a musical soundtrack. Unwind your busy day through an hour long relaxation, breathing techniques and stillness. This class is as indulging as the name suggests, and focuses on restoring and rebalancing your energy and your overall well-being. Restorative Yoga is made of passive poses, using the support of props to invite the body to completely let go of tensions and to deeply relax. Leave feeling completely new, relaxed and calm, a total joy. Wellbeing Yoga is a fun and challenging Hatha yoga sequence designed to improve strength and flexibility, as well as mental stamina. The system, originally developed by Bikram Choudhury, consists of 26 asanas (postures) and two breathing exercises (which can be practiced with or without heat). An emphasis is placed on body & breath, leaving you feeling peaceful and calm after class. Unravel the body, unwind the mind. Expect, long supported holds using blocks bolsters sandbags and eye pillows. In this slow paced mat based yoga practice we will target the areas between navel to knee. I strive to make my Yin yoga classes appropriate for all. Thank you Thursdays! This class is fun, informative, thorough and happy with a mash up of vinyasa, alignment and peak poses with a splash of spirituality. The crowd it attracts are lovely and we all learn and practice yoga together to whatever ability we are at. Drop in with a loyalty card based scheme. Our Beginner's Yoga course is an ideal opportunity to begin a weekly practice of yoga, whether you're a complete beginner or you'd like to recap on some of the basic postures, breathing and relaxation techniques. The course runs at a gentle pace and will give you a good grounding in the foundations of yoga for you to then continue your own practice and to progress into our other classes. InJoy! 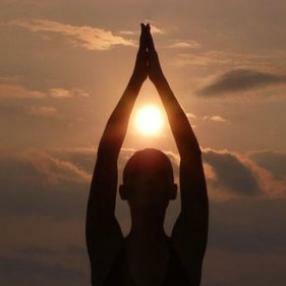 Yoga offers Beginner yoga classes for those who are new to yoga and for those who have previously learnt a little yoga. Classes are particularly useful for those who would like to learn the foundational building blocks of a safe Asana (yoga posture) practise. These classes are also particularly beneficial to those who want to develop their own home practice and to existing InJoy! clients who have perhaps come to pregnancy or baby and postnatal yoga but have not had much experience of 'general' yoga and want to join one of our general classes. Classes focus on building an awareness of a balanced yoga practice, incorporating asana (physical yoga poses), breathing, meditation and sound practices. All foundational yoga asanas are taught so that the full range of movements needed for a healthy spine are covered. These include forward bends, back bends, side stretches, twists, inversions and balances. 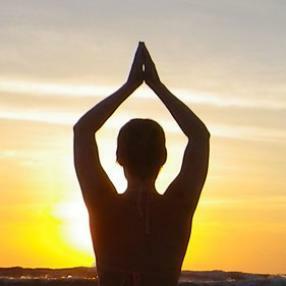 Our aim is to ensure you are familiar with moving safely in and out of asanas, have grasped foundational alignment for all yoga asanas, have a clear idea of what your body needs to balance itself, and have learned the most important and beneficial yoga practise of synchronising breath and movement. This is how we synchronise all the internal systems of the body and makes yoga so health promoting. You will also become familiar with the names of some of the yoga postures both in English and Sanskrit, and gain a new set of yoga buddies!